You will find a long RED lantern and macramé curtain hanging at the entrance. 6:00pm-1:30am or when the noodles are sold out. The Taiwanese style homemade noodles in our original soy sauce flavor soup is topped with chopped tender pork and sprouts. The pork are simmered until its juiciness savor your pallet. Chopped garlic is added at your request. 11-minute walk from the Ginkaku-ji Temple (Silver Pavilion). 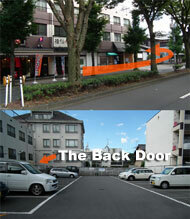 Walk northward for about 6 minutes from Imadegawa-Shirakawa crossing on the east side of the Shirakawa-dori Street. Pass one traffic signal, passing the ‘Liqueur Mountain’, and you will find us on the right hand side before the ‘Circle K’ convenience store. All seats are facing the counters. Please purchase the food tickets first at the entrance. If you need any help using the vending machine, please let us know. And thank you for not smoking inside the restaurant. In case the seats are fully occupied, we appreciate if you would wait outside, securing enough space for the pedestrians. You will be served as soon as the seats are available. 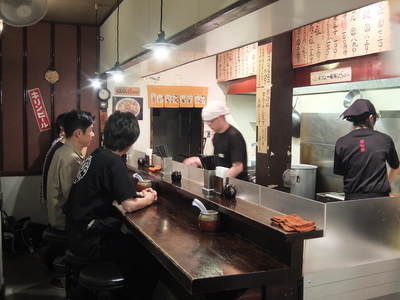 The most popular ramen in our store. Our specialty menu. Flat homemade noodle is covered with tender pork and sprouts. Enjoy the juiciness of the slices of simmered pork added on top. The chopped tender pork and sprouts topping our homemade noodle. Another popular bowl among the regular visitors. We made it with this price! 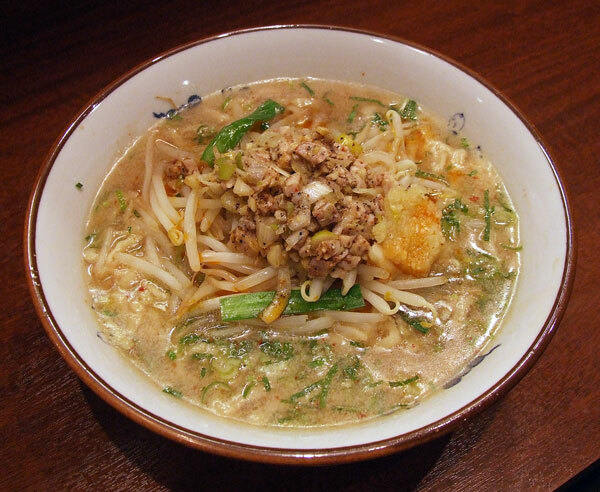 Boiled noodles are once poured with cold water to bring it to its best texture. 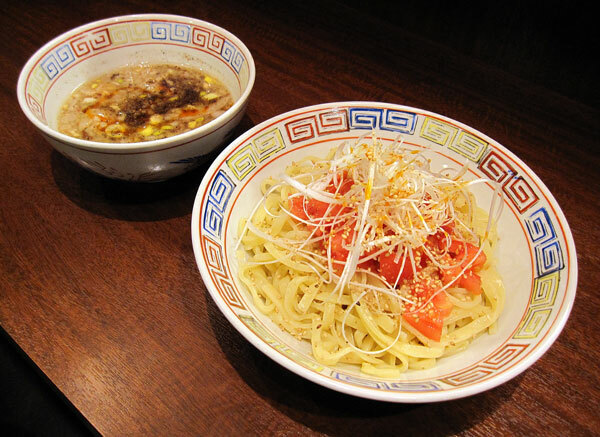 The noodles are drained and served on a plate with slices of tomatoes and white leeks. The soup is soy sauce flavor with slight sourness and chops of pork. The best way to enjoy ramen in the summer time. of ramen. Thank you for your understanding. 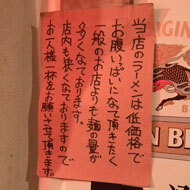 Kyoto’s original pork brand, Kyoto mochi buta, is used for all our pork dishes. Enjoy its tenderness with a mild sweetness. 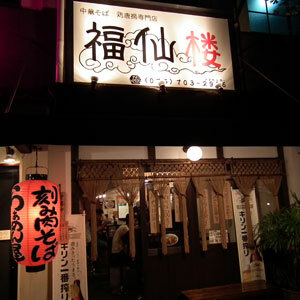 Fukusenro is right next door to Tonryu, Kitashirakawa. There are nine parking spaces behind the building.